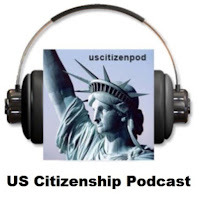 US Citizenship Podcast: NEW PODCAST: Immigration Scams Part 2: Ask Scammers, "Who Are You?" NEW PODCAST: Immigration Scams Part 2: Ask Scammers, "Who Are You?" Immigration Scams Part 2: Ask Scammers, "Who Are You?" government agency under the Department of Homeland Security that oversees lawful immigration to the United States. The Federal Trade Commission (ftc.gov and ftc.gov/es) is and Independent government agency that protects consumers from unfair business practices. The FTC also educates consumers about scams. You get a call from someone saying she works for the U.S. Citizenship and Immigration Services (USCIS). She seems to know exactly who you are. She might already know your name and address, and might even know what kind of visa you’ve applied for. She says you have to pay a new fee – and, if you don’t wire money immediately, your hopes of immigrating will be lost. She might even threaten you with arrest or deportation. Except it’s not really USCIS calling. It’s a scammer who’s targeting foreign nationals, looking for their money and personal information. These scammers have spoofed the real USCIS phone number – which means the real USCIS number shows up on your caller ID, even though the scammers are calling from an entirely different number. They’ve even mocked up the USCIS phone tree, so if you call them back on a number the scammer gave you, it sounds very much like you’re calling the real USCIS. Since these scammers have personal information about you, and they’re calling from what seems like a USCIS phone number, the call seems like the real thing. But it’s not. Hang up and call the real USCIS at 1-800-375-5283. Tell them what happened. They’ll tell you what to do next. Remember, you can’t be sure of who’s calling you. Never give your personal information – like your I-94 number, “A” number, or visa control number – to anyone who calls you, no matter who they claim to be. Hang up and call the real USCIS: 1-800-375-5283. To learn more about this scam, read the USCIS consumer alert. Alertas de fraude más recientes:Conozca la información más reciente y las recomendaciones prácticas de la agencia nacional de protección del consumidor. Daily news and resources about preparing for the US Citizenship interview. Thanks for listening. I know that you will be a great American citizen!